Anti-aging seems to be the "it" term when it comes to skincare. The desire to maintain youthful skin is one that many women share. I believe that keeping a youthful appearance is more than skin deep, such as through healthy nutrition from plant-based foods and an active lifestyle. Of course, proper skincare is an important factor as well, and treating our skin with products that help moisturize to keep us looking youthful also contributes to lessening the signs of aging. Being in my early twenties, I am aware of steps I can take to prolong having my first fine lines and wrinkles from appearing. I moisturize day and night, and have also recently introduced a new beauty tool, the evoDerma NOOME Anti-Aging Motion*, into my routine. This at-home treatment is non-invasive and stimulates quick cell renewal and collagen production by plumping the skin, and can be used both to prevent and diminish the appearance of fines lines and wrinkles. So far, I have to say I am really enjoying the NOOME rejuvenation device. But how exactly does it work you ask? 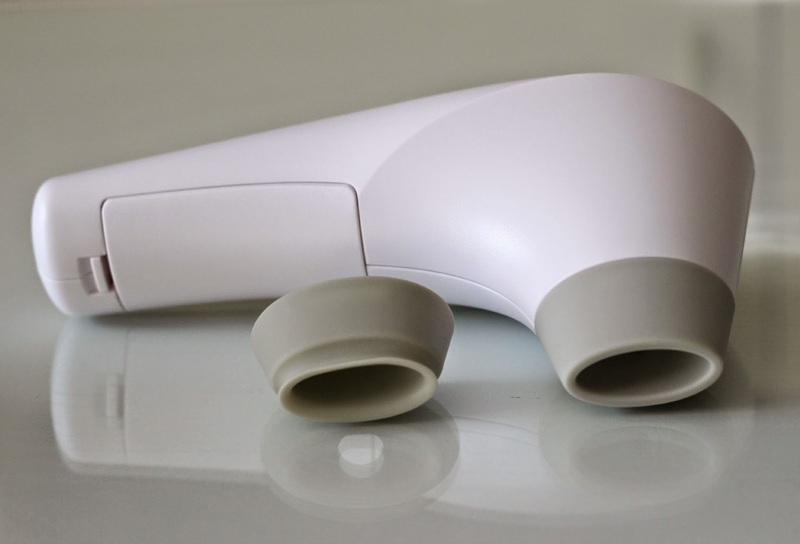 Basically, through non-invasive sub-dermal therapy, the NOOME device creates suction (similar to a vacuum) between the cup and the skin's surface. The suction is not uncomfortable at all and actually feels very soothing, almost like a facial massage! It is very easy to use and the treatment takes me under five minutes to complete. The NOOME basically encourages blood circulation and also increases protein production while promoting skin cell renewal and also relaxing the facial muscles. The device comes with two cups, one soft and one firm. The soft cup is thinner at the point of contact with the skin, and as you may have guessed, is more gentle. This one is great to use on more sensitive areas such as around the nose and forehead, while the firm cup is designed to offer greater stimulation and works especially well on the cheeks and neck area. I personally prefer the soft cup as I find it works really well for my skin, so I usually just stick to that one for the entire treatment. The cups are easily removable and should be washed after each treatment. Prior to using, I ensure that my face is clean, and I sometimes apply a light moisturizer if my skin is feeling dry so that the device can glide smoothly. The instructions that come with the device are very clear: you basically have to work in small sections, and you only need to go over each section once per treatment. The gist of it is that it is used in an upward motion the whole time, first starting with the lower half of the face, then the forehead and ending with the neck. You can also use the NOOME on your lips as a lip plumper to have them look fuller over time (which truly works, I must add). 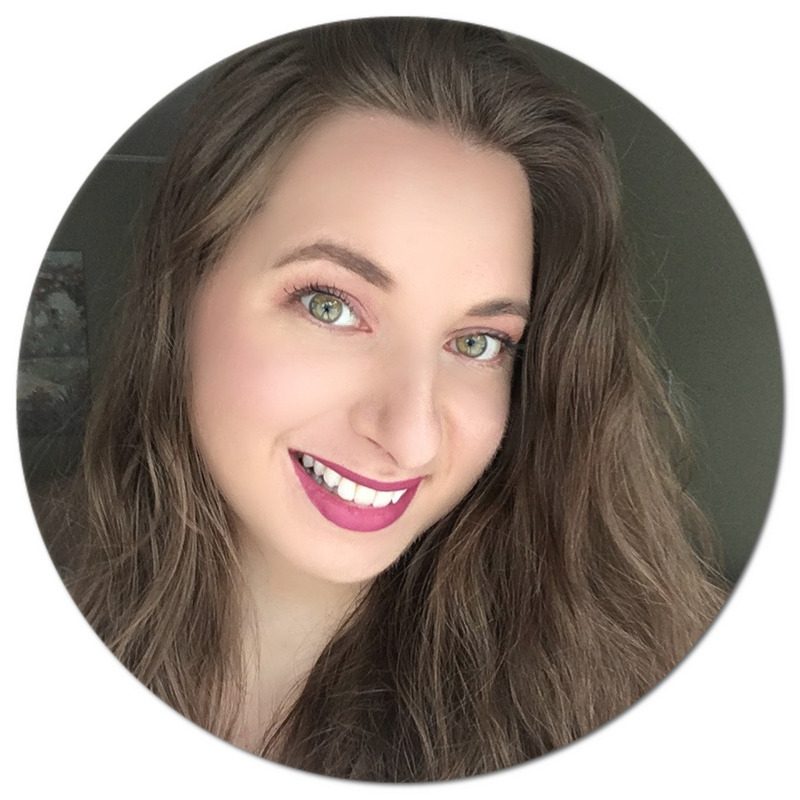 I have been using the device for over a month now, and since I am using it to prevent the first signs of aging, I haven't seen any visible changes in my skin, but the texture of my skin definitely feels smoother. I have also noticed that my lips look significantly fuller, so no need for any lip plumping products anymore! 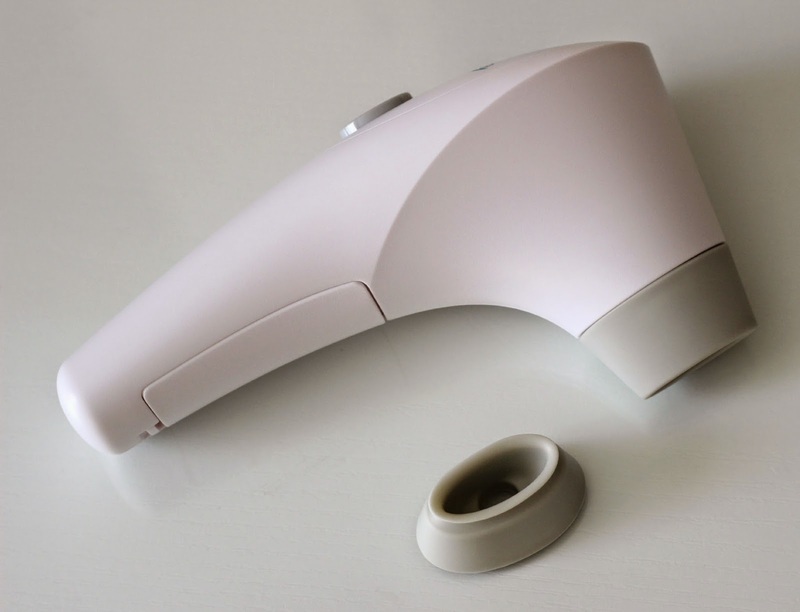 An important note is that the NOOME is not waterproof since it is powered by batteries (which are included in the box, along with the user manual), so when cleaning it is important to remove the cups and wash separately, and not run the entire device under water (such as for the Clarisonic). 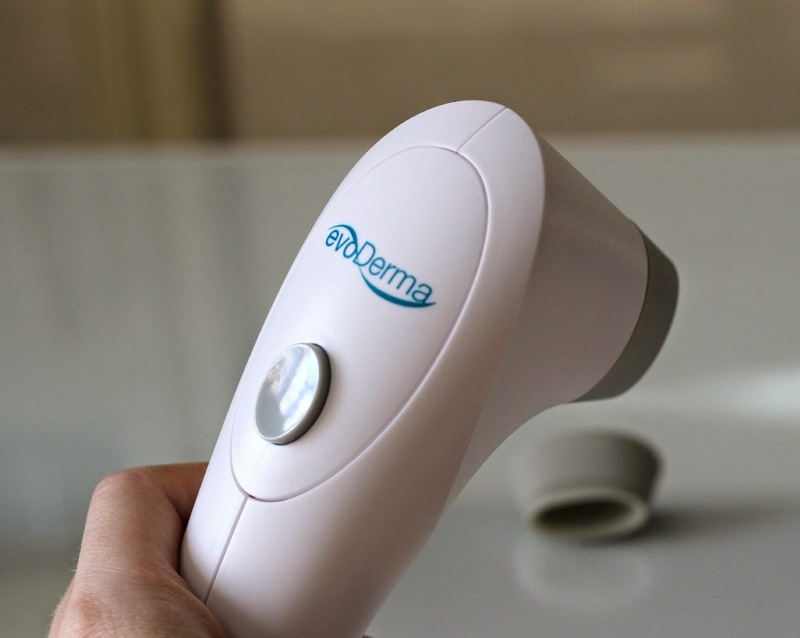 If you are looking to have firmer skin without using an invasive method, this is a great little device that can be used from the comfort of your own home and that can help improve your skin's overall texture and appearance. The evoDerma NOOME Anti-Aging Motion can be purchased online and ships internationally. 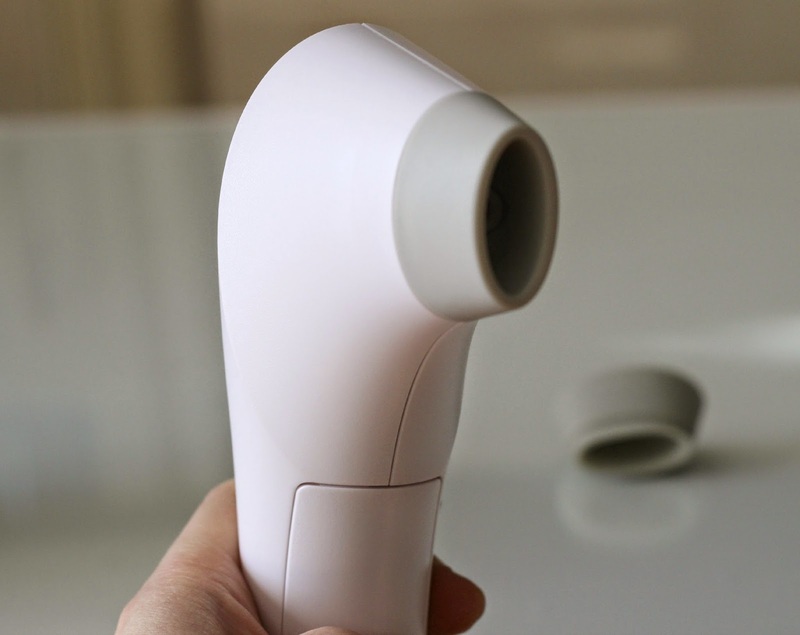 The device retails for $89 CAD, however with promotional code "LOVESBEAUTY" you can get the NOOME for only $39 CAD (that's a $50 CAD discount, or over 55% off!). So before you resort to any painful facial rejuvenation injections or any other invasive treatments, I think you should give this tool a try! Have you tried any facial devices? What do you think about the NOOME? I've always wanted to try a skin gadget like this! They look so neat and I actually think they will do something for my skin :') Now just to find money! I haven't tried any facial devices, but I would love to try this! I like that you can use those in the comfort of your own home and do something to improve your skin's appearance without spending a lot of money on those pretty expensive cosmetic treatments.